Modern corporate culture is in L-O-V-E, love with meetings (and any opportunity to engage in groupthink). But if you look back, history's real intellectual heavyweights weren't "team players." Intellectual giants like DaVinci, Einstein, and even Steve Wozniak, all developed their best works in near solitude. Quiet, by Susan Cain, examines why the world's best thinkers have usually been lone wolves. March 5, 1975. A cold and drizzly evening in Menlo Park, California. Thirty unprepossessing-looking engineers gather in the garage of an unemployed colleague named Gordon French. They call themselves the Homebrew Computer Club, and this is their first meeting. Their mission: to make computers accessible to regular people-no small task at a time when most computers are temperamental SUV-sized machines that only universities and corporations can afford. The garage is drafty, but the engineers leave the doors open to the damp night air so people can wander inside. In walks an uncertain young man of twenty-four, a calculator designer for Hewlett-Packard. Serious and bespectacled, he has shoulder-length hair and a brown beard. He takes a chair and listens quietly as the others marvel over a new build-it- yourself computer called the Altair 8800, which recently made the cover of Popular Electronics. The Altair isn't a true personal computer; it's hard to use, and appeals only to the type of person who shows up at a garage on a rainy Wednesday night to talk about microchips. But it's an important first step. The young man, whose name is Stephen Wozniak, is thrilled to hear of the Altair. He's been obsessed with electronics since the age of three. When he was eleven he came across a magazine article about the first computer, the ENIAC, or Electronic Numerical Integrator and Computer, and ever since, his dream has been to build a machine so small and easy to use that you could keep it at home. And now, inside this garage, here is news that The Dream—he thinks of it with capital letters—might one day materialize. As he'll later recall in his memoir, iWoz, where most of this story appears, Wozniak is also excited to be surrounded by kindred spirits. To the Homebrew crowd, computers are a tool for social justice, and he feels the same way. Not that he talks to anyone at this first meeting-he's way too shy for that. But that night he goes home and sketches his first design for a personal computer, with a keyboard and a screen just like the kind we use today. Three months later he builds a prototype of that machine. And ten months after that, he and Steve Jobs cofound Apple Computer. Today Steve Wozniak is a revered figure in Silicon Valley-there's a street in San Jose, California, named Woz's Way-and is sometimes called the nerd soul of Apple. He has learned over time to open up and speak publicly, even appearing as a contestant on Dancing with the Stars, where he displayed an endearing mixture of stiffness and good cheer. I once saw Wozniak speak at a bookstore in New York City. A standing-room-only crowd showed up bearing their 1970s Apple operating manuals, in honor of all that he had done for them. But the credit is not Wozniak's alone; it also belongs to Homebrew. Wozniak identifies that first meeting as the beginning of the computer revolution and one of the most important nights of his life. So if you wanted to replicate the conditions that made Woz so productive, you might point to Homebrew, with its collection of like-minded souls. 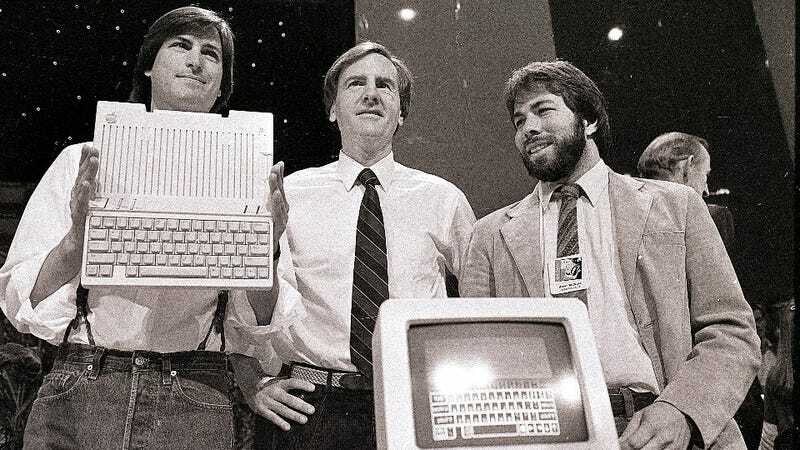 You might decide that Wozniak's achievement was a shining example of the collaborative approach to creativity. You might conclude that people who hope to be innovative should work in highly social workplaces. And you might be wrong. Consider what Wozniak did right after the meeting in Menlo Park. Did he huddle with fellow club members to work on computer design? No. (Although he did keep attending the meetings, every other Wednesday.) Did he seek out a big, open office space full of cheerful pandemonium in which ideas would cross-pollinate? No. When you read his account of his work process on that first PC, the most striking thing is that he was always by himself. Wozniak did most of the work inside his cubicle at Hewlett-Packard. He'd arrive around 6:30 a.m. and, alone in the early morning, read engineering magazines, study chip manuals, and prepare designs in his head. After work, he'd go home, make a quick spaghetti or TV dinner, then drive back to the office and work late into the night. He describes this period of quiet midnights and solitary sunrises as "the biggest high ever." His efforts paid off on the night of June 29, 1975, at around 10:00 p.m., when Woz finished building a prototype of his machine. He hit a few keys on the keyboard-and letters appeared on the screen in front of him. It was the sort of breakthrough moment that most of us can only dream of. And he was alone when it happened. Copyright © 2012 by Susan Cain. From the book QUIET: The Power Of Introverts in a World That Can't Stop Talking by Susan Cain, published by Crown, a division of Random House, Inc. Reprinted with permission. Quiet: The Power of Introverts in a World That Can't Stop Talking by Susan Cain is available from Amazon.